This is what the kitchen ceiling used to look like. 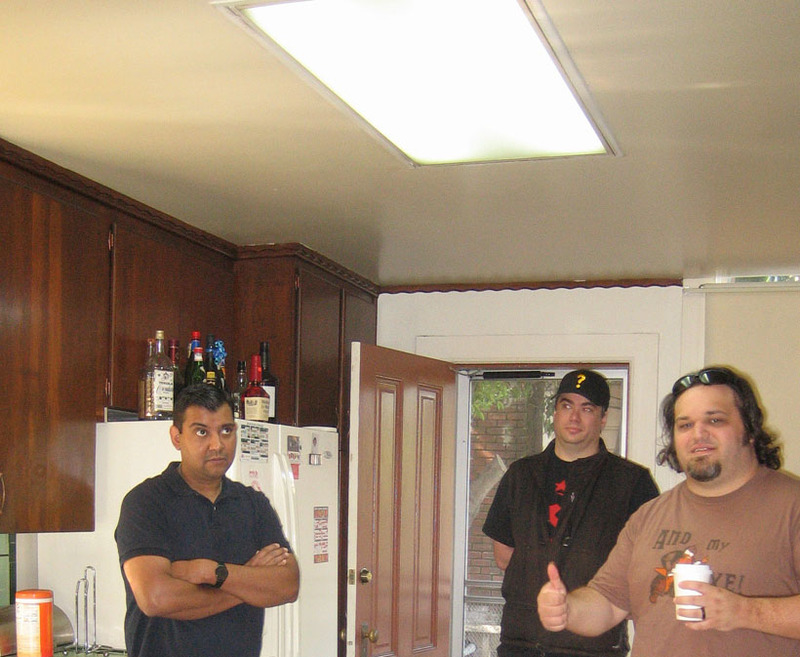 This was the day we decided to buy the house. 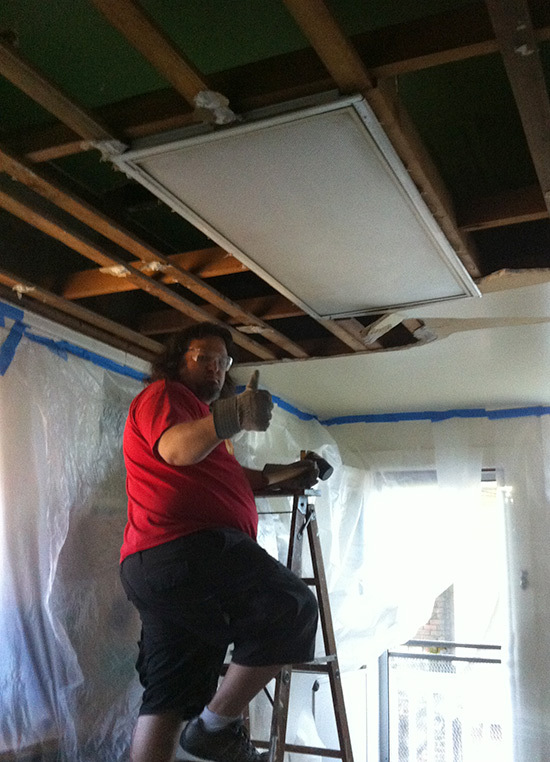 Since we don’t yet have the $ to replace our pipes, we opted to delay the bathroom remodel and instead we put our energies into demolishing the kitchen ceiling. Demolishing is (nearly) free! 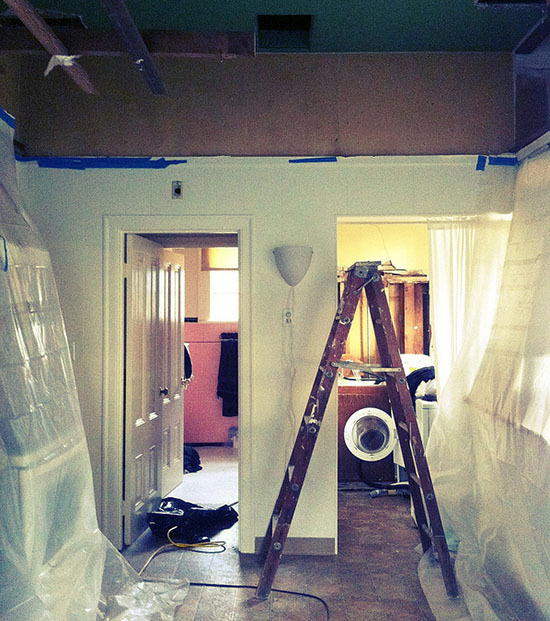 Yes, we’re tearing apart a perfectly good ceiling, but we have our reasons (Pro tip: It’s really ugly). First thing we did was buy a reciprocating saw, a Ryobi that had a compatible battery pack with our drill. It didn’t work so well. It turns out that brute-force tools really need to be the plug-in variety. So we took it back and got a plug-in DeWalt (More expensive. Worth it.). The ceiling is drywall attached to a very robust grid of beams. We started by sawing into the beams surrounding the useless attic access hole. 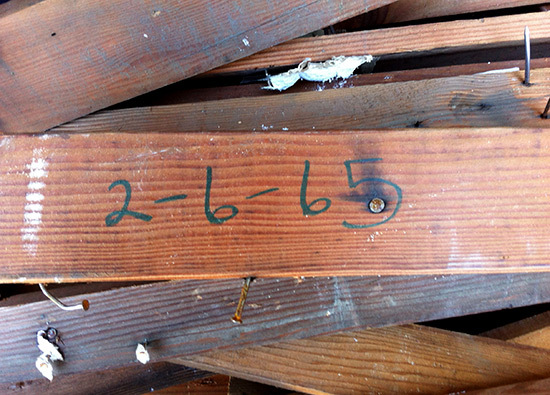 Once the first section of beam was gone, we could start tearing away the drywall in chunks, moving across the room. Construction dude of 1965: While you may have created an architectural abomination, you were still a worthy craftsman and I salute you.